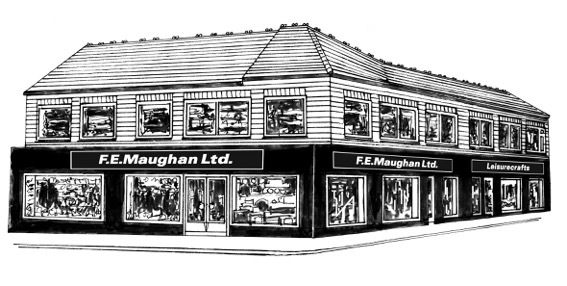 F E Maughan Ltd is a family owned and run firm, we have been serving Newcastle and the surrounding areas for over 70 years from our Whitley Bay hardware store and our Holystone wood burning stove and building materials depot. The F E Maughan online store was launched in 2011 to allow our customers the convenience of buying from our store over the internet, whilst receiving the same personal attention that they have learnt to expect from 'Maughans'. It is virtually impossible to list all of our products on this website that we have stock in our two stores. As a brief guide see below. stocks DIY, building materials, plumbing, electrical, paint, hardware, Security, Tools, Housewares, giftware, tableware, gardening tools and equipment, lawnmowers. offers sand, cement, bricks, plaster, plaster boards, timber, paving, sheet materials, garden sheds, decorative gravels, poly pipe, fencing and fence panels, amongst many other building supplies. If we do not have what you need in stock, we can probably source it for you. Please contact our friendly customer service team to discuss your requirements. Whatever the season, we are pleased to offer you a great selection of 'super saver' deals to help with your DIY and make your house a Home!